My kit has a copyright date of 1965. It was re-released again in 1967, 1974, 1979 and 1988. The Dewoitine D.520 was a French fighter aircraft that entered service in early 1940, shortly after the beginning of WWII. Unlike the Morane-Saulnier M.S. 406, which was at that time the most numerous fighter in the French Air Force, the Dewoitine D.520 came close to being a match for the latest German types, such as the Messerschmitt Bf 109. It was slower than the Bf 109E but superior in manoeuvrability. Because of a delayed production cycle, only a small number were available for combat against the Luftwaffe. The D.520 was designed in response to a 1936 requirement from the French Air Force for a fast, modern fighter with a good climbing speed and an armament centred on a 20 mm cannon. At the time the most powerful V-12 liquid-cooled engine available in France was the Hispano-Suiza 12Y, which was less powerful, but lighter than contemporary engines such as the Rolls-Royce Merlin and Daimler-Benz DB 601. Other fighters were designed to meet the specifications but none of them entered service, or entered service in small numbers, too late to play a significant role during the Battle of France. 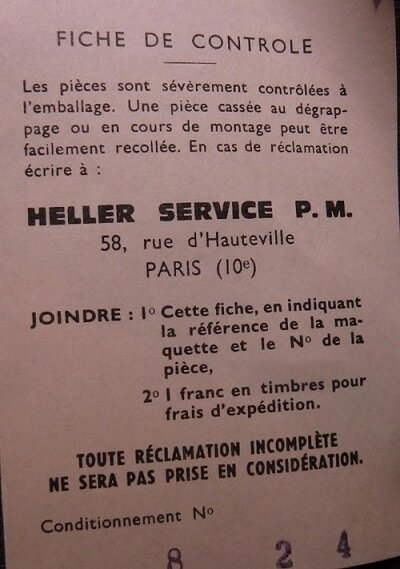 Heller is an older prolific model company based in France. They manufacture all manner of model subjects in the popular scales. The kit comes in an end-opening type box that was not shrink-wrapped, but held shut with tape. I am no fan of this type of box, because invariably parts or the decal sheet find their way past the end flaps to become lost forever. Give me a tray and lid type box any day of the week. This box is blousy and a good 2 inches + too long. The box art shows 2 DeWotines that have shot down an Italian biplane. They are both in a scheme of khaki and brown wave pattern above a light grey undercarraige. No markings are shown other than the usual French roundels and fin flash. The bottom of the box lists 19 aircraft kits that Heller markets. I assume they are to 1/72nd scale. 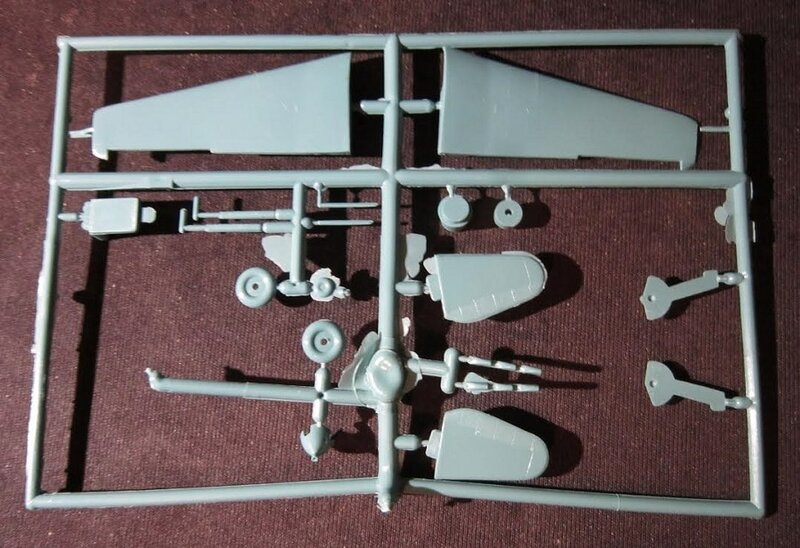 This kit contains one medium grey parts tree, a loose medium grey lower wing and fuselage halves, a clear tree, decal sheet, instructions and a slip with Heller's customer assistance address on it. 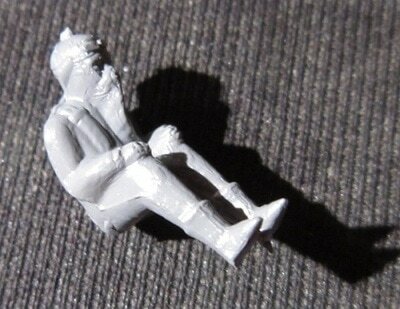 ​With his oxygen mask molded onto his face the pilot looks like Santa Claus...ha ha. 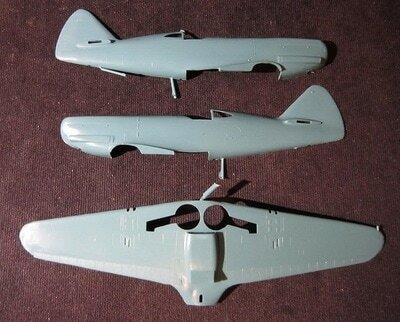 ​The propeller is missing in the kit and I will have to see if Heller can provide one for me. The decal sheet and the customer assistance slip complete the kits contents. The decal sheet has a frosted sheet provided that is intended to protect its face from scratching. However, this sheet was floating around the box and not protecting a darn thing. So, I stapled it to the decal sheet. The instructions consist of a single sheet that is printed on both sides in 8 1/2" 11" page format. The face side has the history of the Dewoitine D.520 and a 2-view of the box art subject (already described above). There is one exploded drawing for assembly and a list of part names. Text is provided to walk modelers through the build. This is all in French. The other side of the sheet repeats all of this in English. Instruction sheet is folded twice to fit the box. 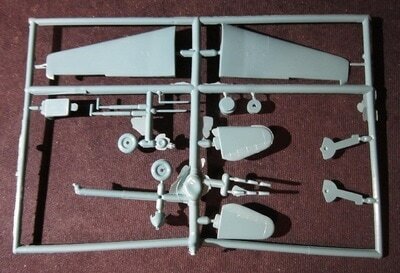 This is a neat kit of a WWII French fighter. Recommended. 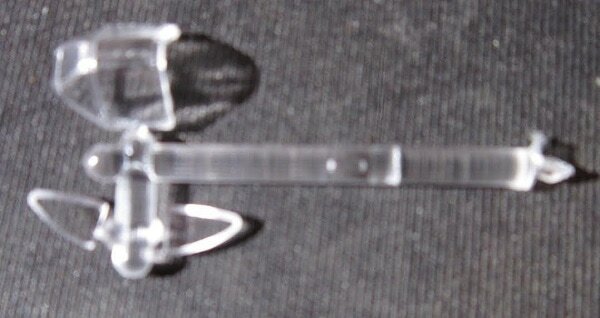 ​I purchased my kit at my local hobby shop back in the 60's for a whopping .90 cents. I am willing to sell it for a reasonable offer.